Cochrane Stories is the second grass roots community arts project coordinated by Lindy de Wijn in collaboration with Darebin’s Playspace upgrades. The first was Lahinch Vessels in Lahinch Reserve in 2013. Cochrane Stories was completed in 2015 and integrated into the playspace upgrade at T. A Cochrane Reserve, Collier Street Preston. Finally a conference that is just for OUT of School Hours Care and Vacation Care Educators. This OSHC conference will provide participants with a range of topics that will highlight innovation, the latest research, inspiration on programming ideas and best practice. All participants will have the opportunity to network and interact with colleagues across the community. Children at Play - a rare glimpse into the imagination, ours and theirs. 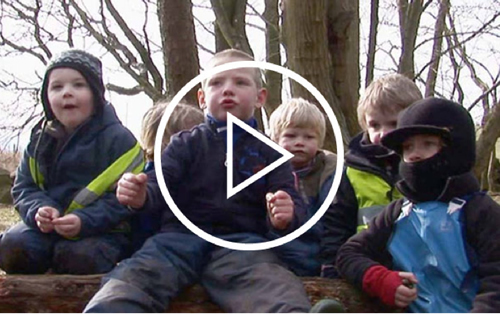 Read more about Children at Play - a rare glimpse into the imagination, ours and theirs. Download the PDF here on the coming 2016 State Conference from Parks and Leisure Australia. As a society, we have become increasingly focused on the needs of the youngest members of our society. This hasn’t always been the case. It is startling to note that the history of the children’s recreational playground only goes back a 150 years, whereas adult recreational spaces such as spas/hammams/gymnasiums go back hundreds of years.